photo by Perri Brierley-Bowers, Fantastic! Magazine Issue 5. 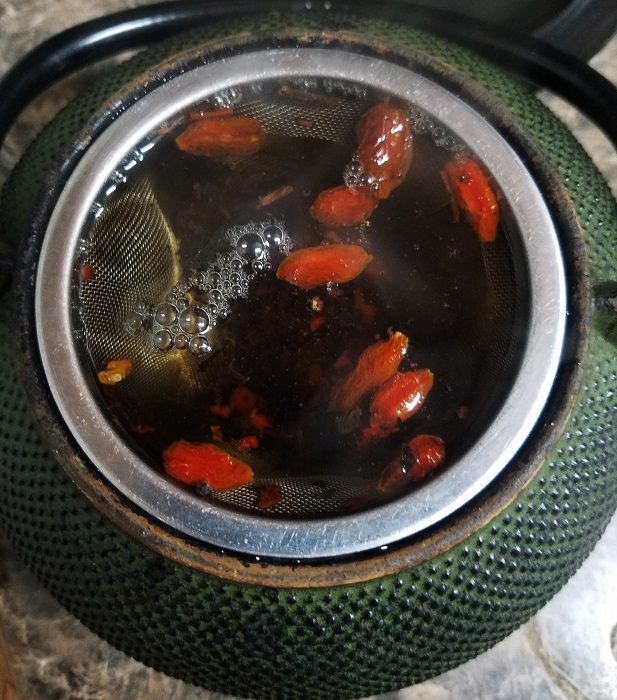 Visually, the tea looks like a smoldering pile of ashes - with bright red berries that look like still glowing embers, or drops of blood, or baby dragon eggs. The base of the tea, lapsang souchong, gives the blend a smokey smell as well. Half the fun of this tea is watching the steam rise off the cup, and feeling like a total badass about to drink pure fire. The tea needs to steep for 7 long minutes...maybe while you wait you can dream of the 7 kingdoms that are rightfully yours? Seriously though, the goji berries need some extra time. The payoff is an added sweetness to the already smokey rich flavor of the lapsang. For a little bit of bite, and because this is blood and FIRE, we also added chili flakes to the mix. 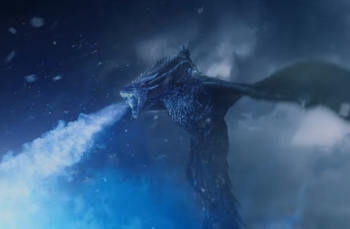 The result is a steady heat, nothing Daenerys Stormborn of the House Targaryen - First of Her Name - the Unburnt - Queen of the Andals and the First Men - Khaleesi of the Great Grass Sea - Breaker of Chains - and Mother of Dragons couldn't handle. You know nothing Jon Snow!!!!! It is known, that you can find this tea by visiting Sarah at Juniper, or requesting it online through the convenient chat box. Ask her for the "Blood & Fire" tea (lapsang, goji berries, and chili flakes) and she'll know what to do. You can also find some of our other awesome fandom tea blends at Fantastic! Magazine.